Drifting competitor Tyler Wolfson, who began running on GT Radial tires last year, provided the brand some valuable exposure this month with a cover photo and profile story in Wrecked Magazine, an online publication that chronicles the world of drift. Driving a Mazda RX-7 on GT Radial ultra high performance tires, Wolfson competed in the Formula Drift ProAm Championship Series last year. He scored five podium finishes in seven events, including his first overall win at the season-ending Thunder Drift RD 4. 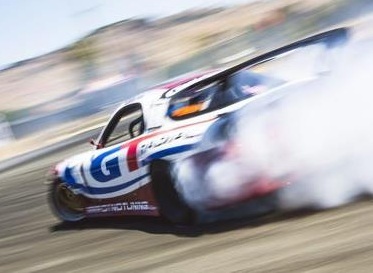 In 2013, Wolfson plans to compete in the Xtreme Drift Circuit, which is essentially a stepping stone to Formula Drift where he plans to compete next year. Concerning his car, Wolfson’s team has been making small adjustments to the suspension and alignment settings to gain more mid drift grip. They’ve also made a few modifications to add about 100 horsepower. 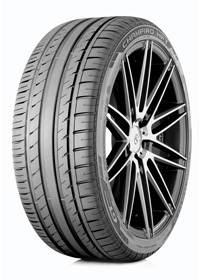 David Shelton, director of marketing for GITI Tire USA, said Wolfson has been a great ambassador for GT Radial, using social media to connect with consumers and helping the company evaluate current and future ultra high performance products. 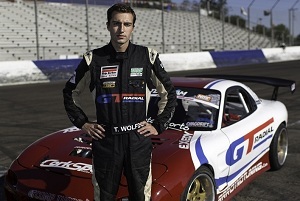 Wolfson, 23, who resides in San Diego, began racing competitively in 2009 after auto crossing. He immediately proved his talent behind the wheel by qualifying on pole and leading every lap to win the first wheel to wheel race he participated in. He went on to claim Rookie of the Year honors and third overall in the Skip Barber MAZDASPEED Challenge with two wins and five podium finishes. After becoming the overall champion in the highly contested Skip Barber MAZDASPEED Summer Series in 2010, Wolfson competed in other road racing events before setting his sights on drifting.